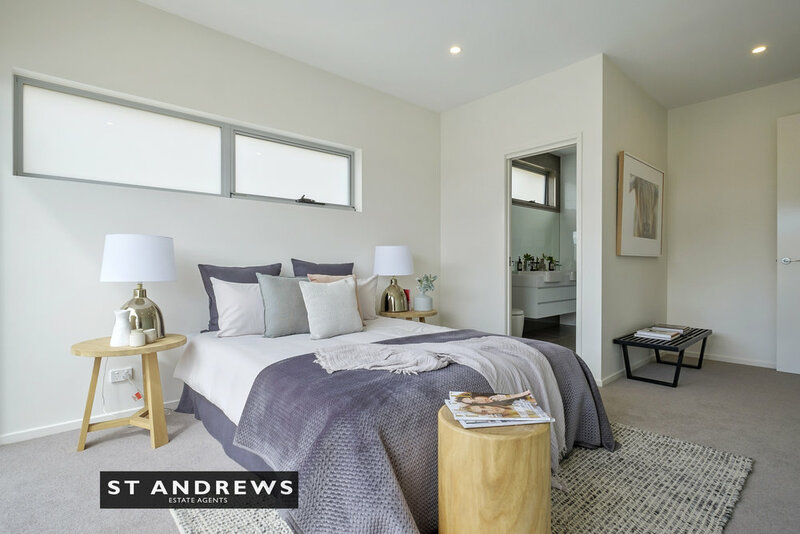 Just built, these three bedroom two bathroom double garage free-standing townhouses built by award winning Lyden Builders offers loads of appeal to downsizers and young families. 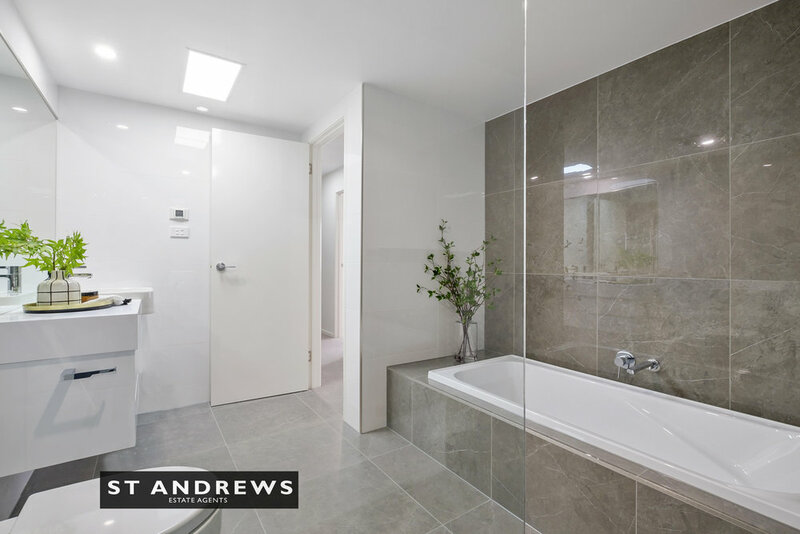 The homes offer three spacious bedrooms with built-ins and a fully tiled over-size ensuite to master. There is a generously proportioned tiled family bathroom, powder room, high clearance fully lined double garage with internal access, spacious laundry, a state of the art kitchen with engineered stone bench tops, Siemens appliances, glass splash-backs opening into a living-dining area with enormous windows enjoying elevated vistas of the River Derwent and the leafy rooftops of Sandy Bay. The homes feature much sought after high ceilings, Tas Oak engineered flooring to main living area, intercom access with security gate, undertile heating to bathrooms, double glazing, internal garage access, neutral colour scheme and a functional easy living floor-plan. The property enjoys low maintenance out door areas including a concrete deck accessed from the main living room via stacking sliders. 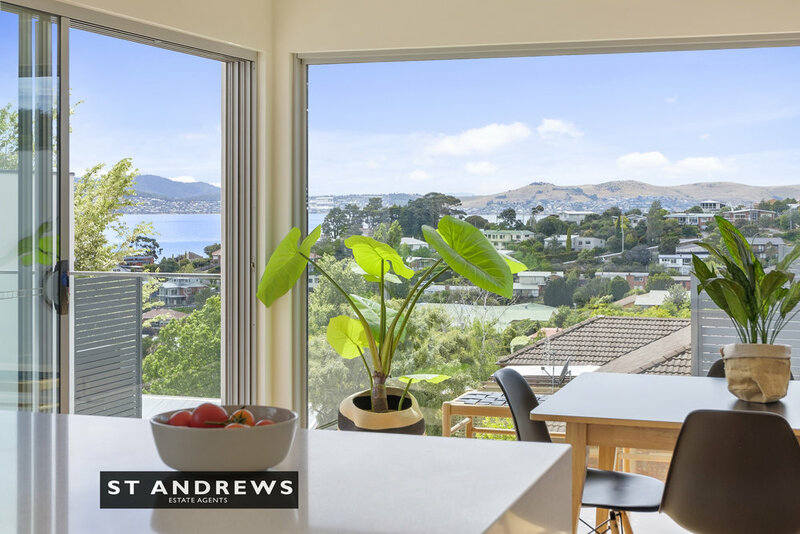 A brilliant and spacious low-maintenance property to enjoy in a prime position, within walking distance of Lower Sandy Bay shops, Nutgrove Reserve and Beach, Fahan and other leading schools and representing a short drive into the city centre.